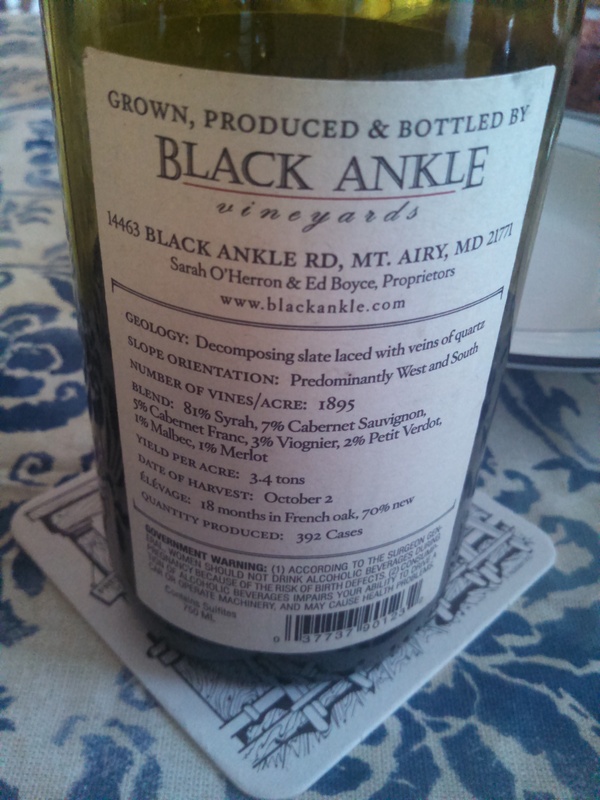 When you ask someone about their favorite winery in Maryland, a popular response will be Black Ankle Vineyards. And I’d definitely place it near the top for me as well. But there are many great places to visit and find a gem. 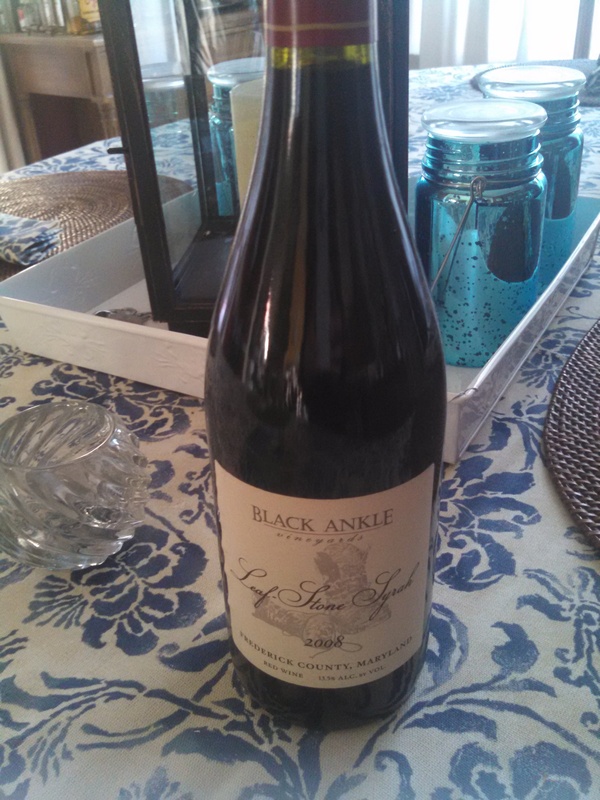 My friends and I were looking for a nice wine to pair with our St. Patrick’s Day feast, and I instinctively thought of the 2008 Leaf Stone Syrah. I was able to purchase a few bottles a couple of years ago, at a sale price of around $30.00 each, at Friendship Wine & Liquor in Abingdon, MD. And this was worth every penny then. So how does it taste a year or so later? Well my response at dinner was that I am glad we’re having this now, and not a moment later. It’s still great, but it probably just went past it’s peak. Something just felt a little different. It had lost a little potency. The updated tasting notes match my findings. I am proud of myself to pick up on this detail. Nevertheless, if you can find this year I suggest doing so. And then to drink it almost immediately. It’s got the oak and full body that I always love. And the Cabernet Franc and Cabernet Sauvignon is usually always a delight to complement the other grapes. As you can see above, on the back of the label, they have some fun facts that are easy to understand and are accessible. So what else is great about this winery? Well I did visit once, and on the surface it looked unapproachable but when I walked in, the place was majestic. The outdoor setting, outside seating, and tasting room area are out of a fairy tale. It’s so beautiful that I can’t put it into words. It was cozy enough to make you feel you’re on vacation. In many ways, you are. When I did the tasting room a couple of years ago, it was so packed that mine was done outside. No complaints here. The wines I sampled were dynamite and fit the season we were in. It’s been a while so I didn’t retain much from memory. But I do intend to return this Spring or Summer, when the room will have since been reopened. The wines do range on the higher end of prices. Many are over $30, and as you can see on the site, that many are sold out and for good reason. So I was grateful to get mine at the price that I did. 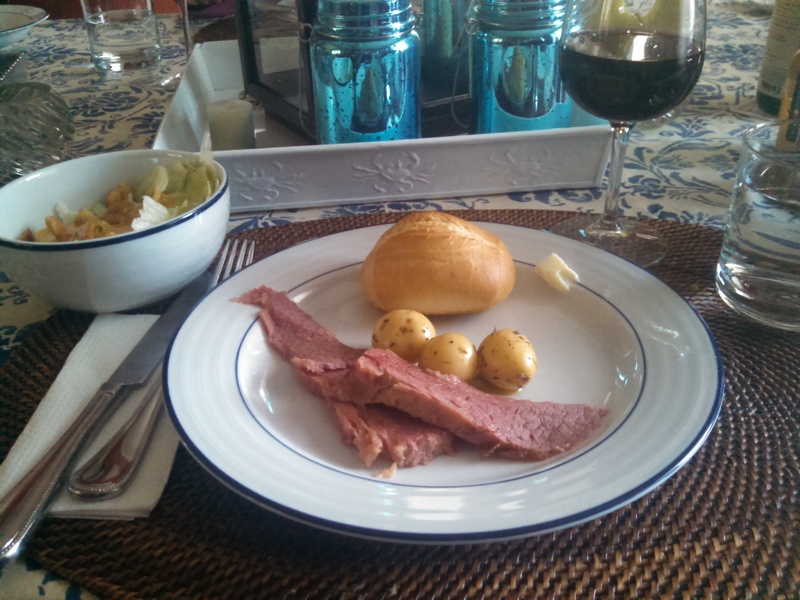 In the meantime, we enjoyed our wine with a beautiful corn beef brisket, potatoes, rolls, and a side salad. What a perfect way to celebrate St. Patrick’s Day. 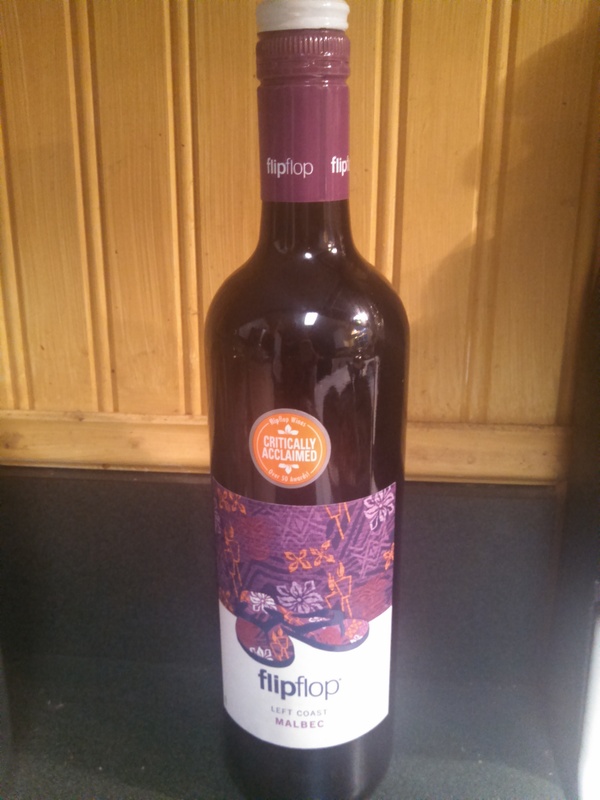 One of my favorites, the Malbec from FlipFlop Wines, can be found priced anywhere from $5 to $8, depending on whereyou go. The problem is, you may have a difficult time tracking it down. 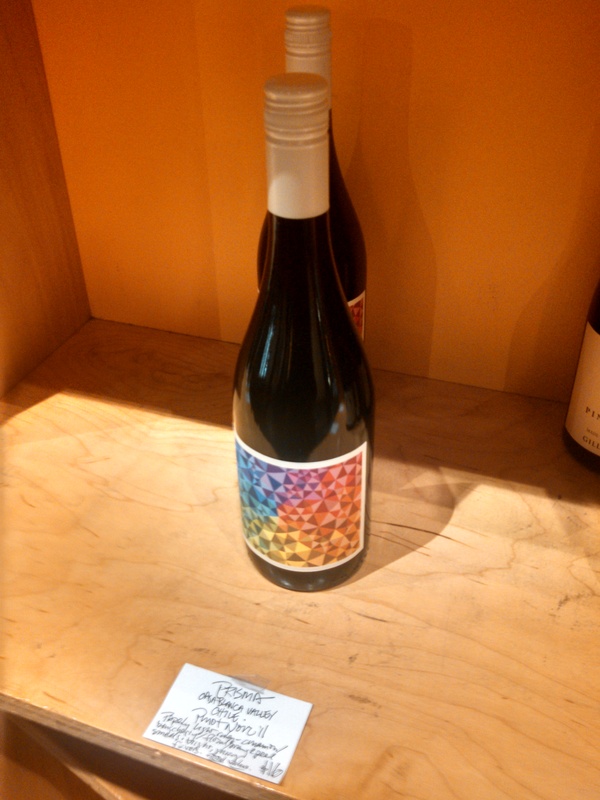 As seen above, all their other selections are available, but where’s the Malbec! It’s the best of the bunch. What was once a standard label bottle that could be found in even the most basic wine shop, is now nowhere to be found. I asked some respective store managers, and the prevailing response is that it was discontinued in Maryland. I find that disheartening on so many levels. As of this writing, I was still waiting on a response on this matter from the company themselves. It’s no longer listed on their website. So what’s so great about it? Well other than the fact that it’s so cheap, it tastes good. I bought this gem a few years ago at various wine shops, simply for the price and eye catching label alone. Who doesn’t love to be reminded of Summer and warm weather? 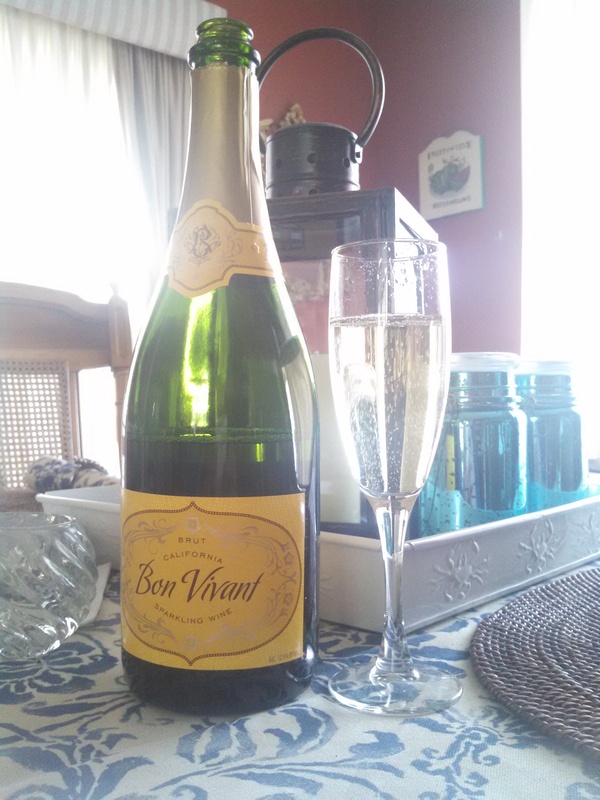 My first time opening it, I sensed some berries and other fruit flavors. But what really hit me was the oak and smokiness that came through. The latter two are something I have mentioned many times before. Oak and Smoke usually make a red wine divine. It’s a nice medium bodied wine that goes down perfectly, and can be eaten with many wonderful meals. 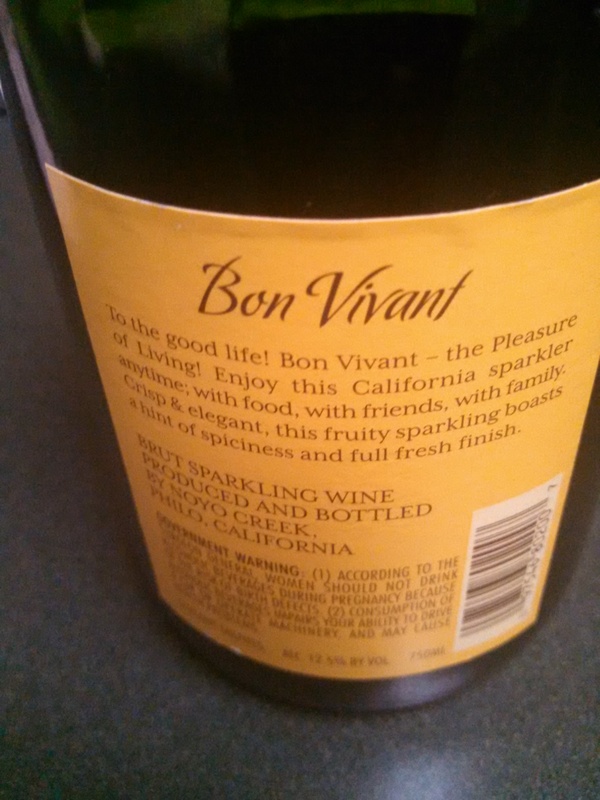 As pictured, the back of label gives some suggestions, along with some other fun facts. Speaking of which, I don’t think I’ve ever seen a more user friendly label. Additional bonus, the bottles are twist off. If you read their story, you see that the intent is genuine and they want their wines to be approachable and drank for fun, and not in a snooty context. My blog shares that the same sentiment. 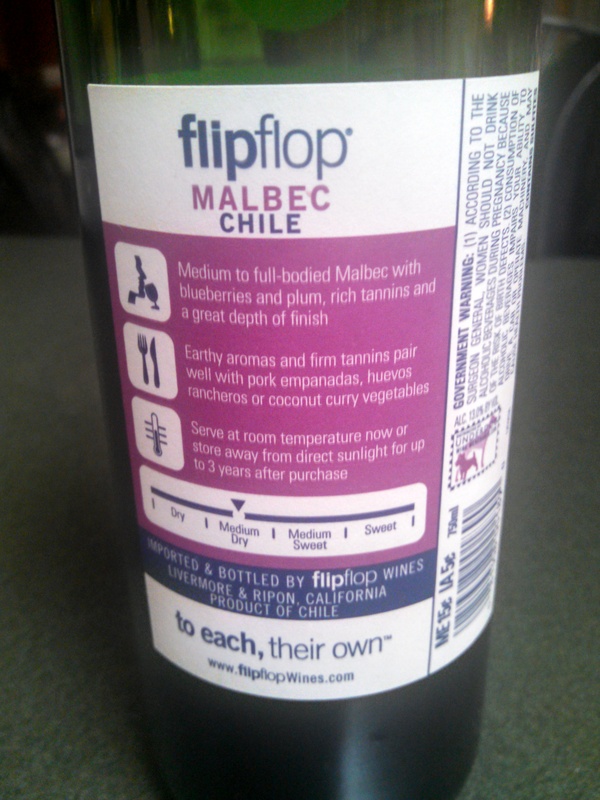 I’ve also liked their Cabernet Sauvignon, Pinot Noir, and Merlot, but nothing can touch their Malbec. I mean this. I’ve had similar ones priced $10-$20 and up, that can barely hold a candle to this. At an average price of $7, it’s worth at least three times that much. I’m that passionate about it. And the fact that it’s becoming so scarce, is adding to my sentimentality. Fortunately, I have a few left in my collection and I will continue to visit various wine shops, and under the radar beer and wine stores to see if there is a stray anywhere. If you can find this bottle, get it. Good wines at this cheap of a price are everywhere, but this one is on a level all it’s own. 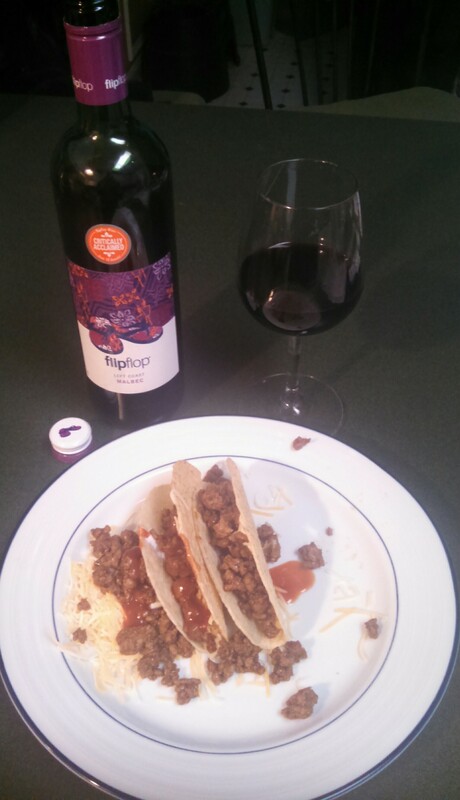 In the meantime, I will savor my glass with some delicious ground turkey tacos. I don’t always go into my posts with a plan of attack. It’s a blog. It’s mean to be fun. And the adventure is not knowing what I’m going to write about next. Sometimes I find the wine. Sometimes it finds me. The bonus is any complements I may find, to go with that selection, happenstance or not. Well all of that came together today, with the 2011 Prisma Pinot Noir from Chile and distributed/supplied by Brazos Wine Imports. 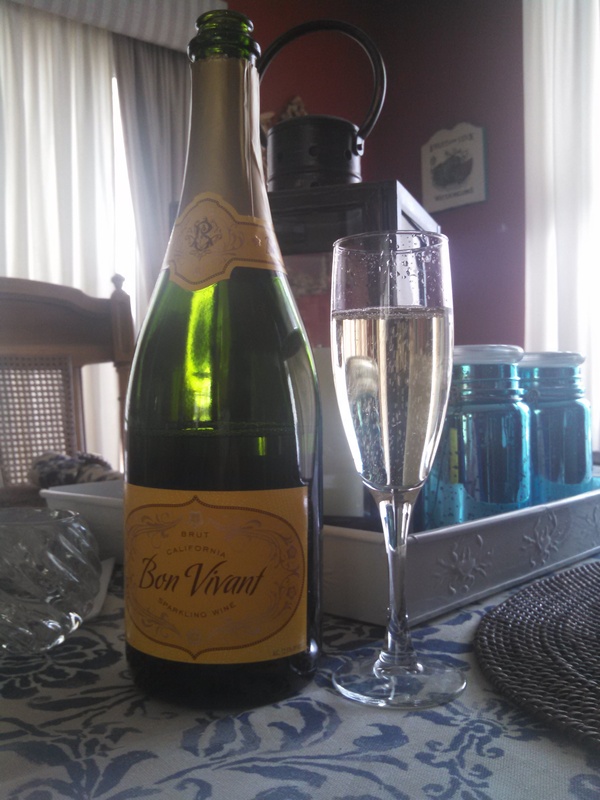 I would like to thank Chesapeake Wine Company for their recommendation of this bottle. I will admit, that the label had me sold. As you can see above, I wasn’t alone in that sentiment. The hippiness and pizzazz of the image caught my eye. And as we approach Spring, this is a kind of lighter wine that may appeal more, than the fuller ones we drink in the colder seasons. Minutes after purchasing this bottle, I stopped by a fundraiser/bake sale nearby, and one of the items for sale, were candied orange peels. I’m thinking to myself, how serendipitous is that? 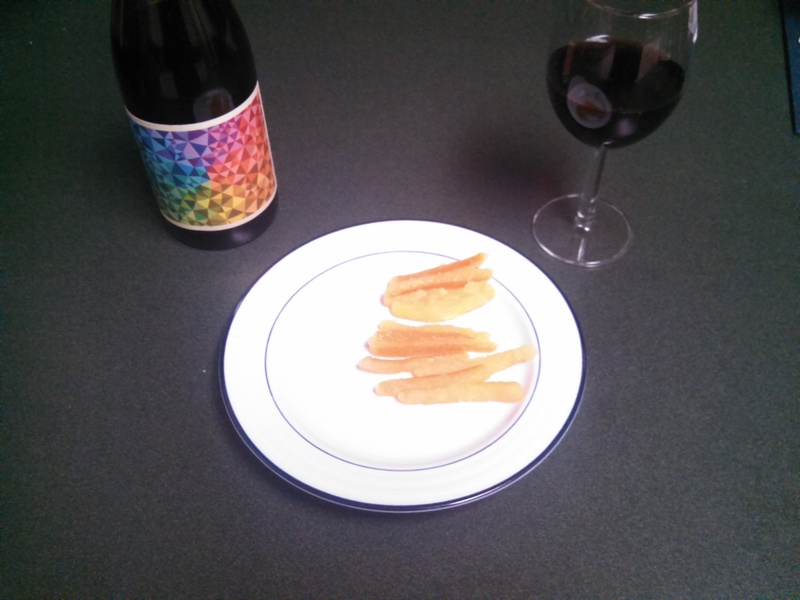 And here is how I paired my vino. Now, for the wine itself, it’s not my favorite. When I smell it, I do detect a small amount of oak, as the bottle describes. For reds, my mantra has always been, the more oak the better! When there’s a small scent of it, you may not always find it when drinking. And that’s what happened, for me, here. The candied orange peels definitely heightened something after I had a sip. And the after taste lingered for a little while, which is a good thing. And while I do like light wines, this one did not wow me completely. I could also say it tastes like strawberry preserves, which is charming. But, something just seemed missing. I’m not sure what I was expecting, but I wasn’t blown away. And at a price tag of $16, which is reasonable, I wanted a little something more. If this were $10 and under, I might feel better about this purchase. But, for overall label, and for me having candied orange feels (which were awesome by the way), I am happy I tried a little something different. And that’s the fun of wine drinking. There’s so many to choose from, it’s sometimes just fun to go with your instincts, or in this case, a beautiful label.